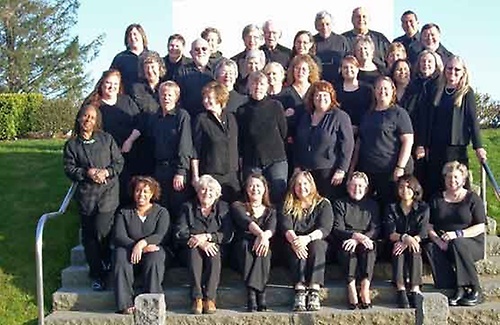 The North Coast Chorale is a welcoming, community-based, non-profit organization dedicated to the presentation of great choral literature and is committed to the promotion of music education. Love to sing? The study of music has been demonstrated to improve cognitive ability, enhance mathematical performance and improve your outlook on life. The North Coast Chorale welcomes new members of all levels. While the ability to read music is a plus, recorded performance aids are available so that anyone with a love of singing can add their voice to bring great performances to the North Coast of Oregon and SW Washington. Interested in Joining? We are always looking for new singers. Rehearsals are Tuesday evenings from 6:45 to 9:00pm at the Clatsop Community College Performing Arts Center on the corner of 16th and Franklin Streets in Astoria. We begin mid-September and run through May. For more information contact Cheryl Capellen at (503) 791-5681 or Dr. Denise Reed at (503) 338-8403.